Rice Krispy treats are an all-time favorite for kids at birthday parties. And cannabisRice Krispy treats are a delicious adult treat, not to mention being easy to make. The combination of sugar, fat and marijuana is difficult to resist. Like many marijuana dishes there are an infinite amount of variations you could use. You could go with some other cereal instead of Rice Krispies (Rice Krispies are the most popular for a reason, but Cornflakes can make a wonderful alternative). You can also choose to add some cocoa powder to make the recipe extra nutritious and give the dish a chocolate feel. In this recipe, we have gone with medicated coconut oil and cannabis butter. You can go with one or the other, or you can make your own medicated oil or butter, once you remember to decarboxylate your marijuana first. 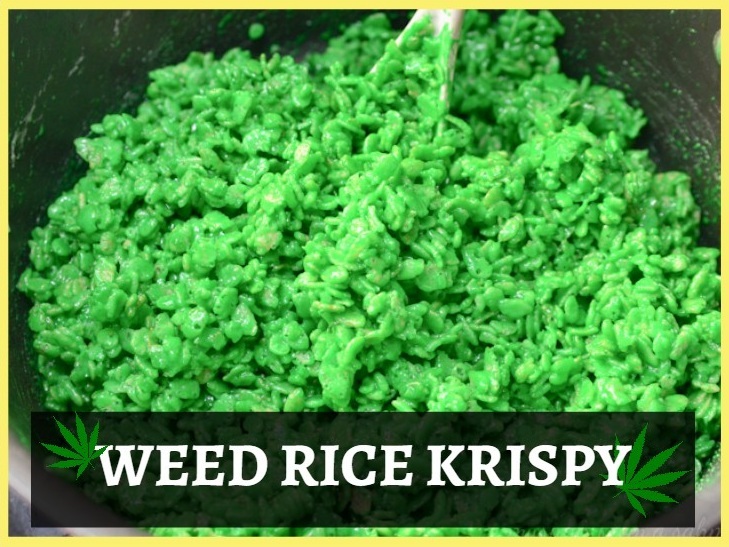 Follow the instructions to learn how to make Weed Rice Krispy treats at your ease. This recipe assumes that you already have a medicated oil or butter at hand. 6 cups crispy Rice Krispy cereal. Grease the bottom of the cookie sheet to ensure that the mix does not stick to the pan. In the pan, melt the medicated butter and the medicated oil over medium heat. Slowly add the marshmallows to this mix and be careful not to overheat. When the mixture is fully blended add the Rice Krispies or whatever cereal you are using. Make sure everything is evenly mixed together. Spread the mix onto the cookie sheet and press down to the desired thickness. Wait to cool and you have awesome weed Rice Krispy treats, without even having to use the oven. There are many things you can add to this easy to make recipe, such as cocoa, vanilla, maple syrup and more. While cocoa is the most common and popular, be aware that it has caffeine in it, which might not go down well with marijuana for some people. Other than this word of caution, enjoy your weed Rice Krispy marshmallow treats!